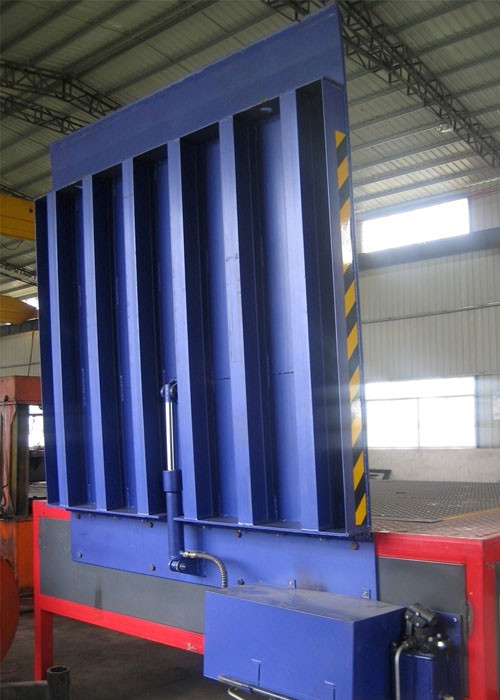 In some wearhouse,usually do not have enough space for pit,so can not use standard docklevler.At this case,usually use EOD dockleveler,small EOD dockleveler,work range too small (usually +/-100mm),Our company design a large work range EOD dockleveler for customers. 1. Have one cylinder,driven by manual hydraulic pump,do not need electric source. 2. Manualy hydraulic pump is Italy"Hydr-app",very light in operating. 4. this dockleveler do not have bumpers. 5. Capacity is 6 ton,we also can customize 10 ton vertical EOD dockleveler.But if dynamic capacity over 10 ton,do not advise use this kind of dockleveler.